A large part of the reason I made Wooden Clock a couple years ago was just to try out the, then new, Adobe AIR-to-IOS development and deployment process to see if there was any life left in the notion of hanging on to my Flash “developer” roots. In the end while I obviously got the app published to the App Store I was not won over with the Adobe tools or workflow for the job. It wasn’t as bad as Android development (still is) but I still definitely did not enjoy it since the app’s performance wasn’t what I’d hoped for, the testing workflow was annoying and buggy and working in the Flash IDE was often infuriating for multiple reasons. Since free time was (and still is) so hard to come by this wasn’t something I could justify trying out anytime soon so I just tabled it for a rainy day that would likely never come. But after getting a few blog comments and emails about Wooden Clock having problems with Apple’s latest software update (iOS 7) I decided I may as well kill two birds with one stone and attempt to migrate the app from Flash to HTML. 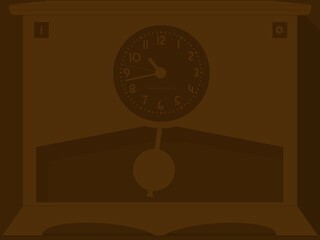 So over the past couple weeks using an hour here and there I exported the various clock graphics from Flash and rebuilt the app as a HTML web app. Overall Things went fairly smooth and I was surprised to discover that the app’s performance seemed as good if not better than it was in the Flash version. 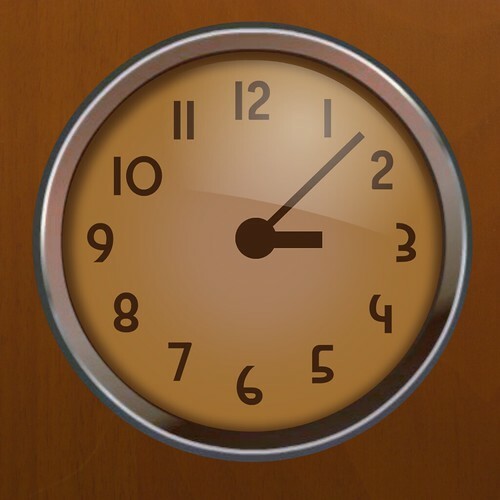 As I was rewriting the app I wondered what difference, if any, using flat imagery would have on the performance of the clock so I created a secondary set of graphics to allow users to toggle between a flat style or the default (wooden) style. Honestly it would have probably made more sense if I had tried comparing the image performance against canvas object performance since I’m pretty sure image complexity/color-count has very little affect on performance – but I’m not a canvas pro so I stuck with images. The clock does seem slightly more fluid/responsive when using the flat design but the difference is pretty subtle. 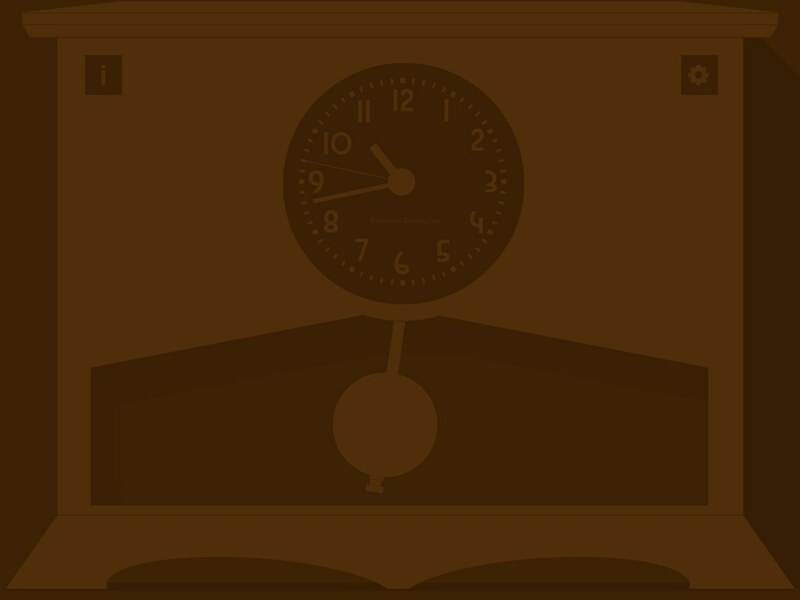 A side-effect of throwing in this flat style is that I may actually be able to create full-fledged additional clock skins in the future too – this would never happen if the app had stayed Flash-based. Since iOS7 has a new “flat” look to everything I made an attempt to update Wooden Clock’s icon to fit in. However since most of this app’s cool-factor is based on how realistic and rich the graphics are coming up with a flat version of the icon is a pretty challenging (possibly impossible) task. I landed on something I could live with for now but I’m not in love with it – so maybe I’ll come up with something more interesting later. 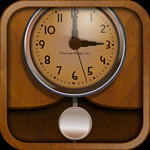 The updated version of Wooden Clock is currently in the Apple App Store review process and should be live in a few days.